Underneath the top yoke there are two cable retainers, which are each held with 2 x 5mm Allen head bolts. Unscrew the right hand one. Fit the right hand screen mounting bracket between the cable retainer and the instrument mounting bracket, and refit the two bolts. Do not tighten them fully at this stage. Repeat operation for left hand side. Again, leave the bolts finger-tight. With both brackets fixed, hold the screen blade in position and loosely fit the four hexagon head machine screws with their washers, ensuring that they engage in the captive nuts on the brackets. Now tighten these screws as far as they will go (there is a shoulder on screw which prevents the screen from being overtightened). 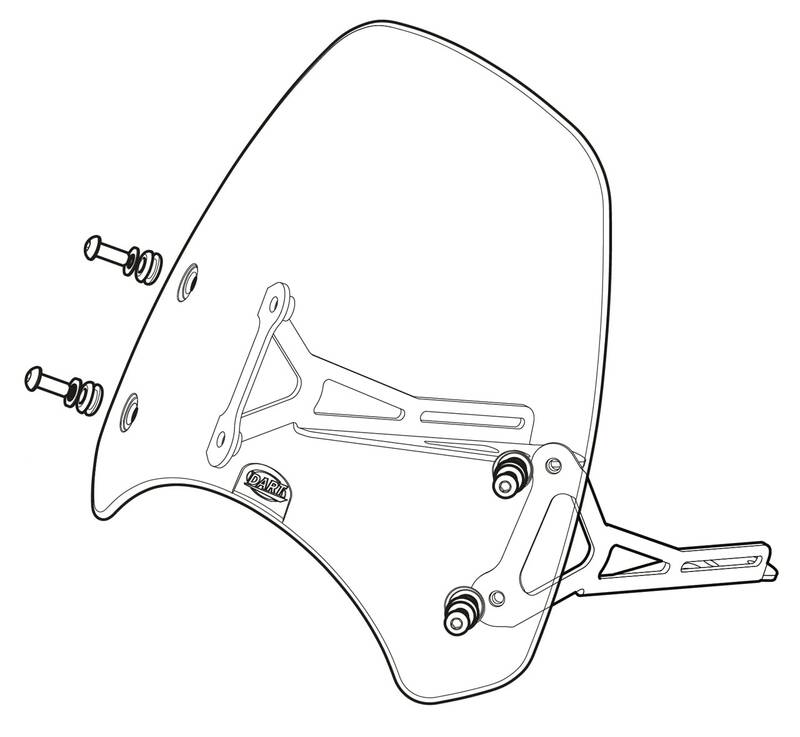 Now ensure that the screen is centred above the headlight (one of the holes in the mounting brackets is slightly elongated to allow a little adjustment). Tighten the four cable retainer bolts - be careful not to overtighten them as the top yoke is made of relatively soft aluminium alloy and the threads could be damaged.